Home > Crisis, what crisis? Should tax reform fix Commonwealth and State budgets? 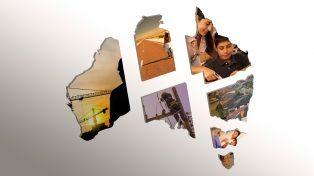 State and Commonwealth Government budgets face considerable pressures. Revenues are being hit by slower economic growth and tax concessions introduced in better economic times. At the same time, spending in major areas such as health and welfare, particularly the Age Pension, are growing faster than GDP. And governments will need to find money to fund new policy initiatives such as the NDIS. Budget repair efforts to date have focussed on reducing spending. But governments will not be able to restore budgets to balance without also boosting revenues. Should the Commonwealth Government target superannuation tax concessions or let bracket creep do the work? Is there scope to reform the taxation of capital gains? Should state governments push for a higher (or broader GST)? Or could they make better use of their existing tax bases? How do we ensure that any measures introduced are fair? Danielle Wood is the Australian Perspectives Fellow at Grattan. She is an economist with extensive experience in advising on public policy and competition law issues. Previously, Danielle worked as Principal Economist at the ACCC, Senior Consultant at NERA Economic Consulting, a Director in the Merger Investigations Branch of the ACCC and as a Senior Research Economist at the Productivity Commission. She is currently undertaking a Masters in Competition Law from the University of Melbourne. Paul Abbey is a Partner in the International Tax and Transaction Services group of PwC in Melbourne and has over 20 years experience advising local and international clients on income tax issues. Paul has significant experience in relation to tax due diligence, acquisition structuring, capital raisings and IPO’s. Most notably, through the development of two formal consultative groups of CEOs, CFOs, chairmen, union and charity representatives to help drive dialogue and debate on the issue, culminated in PwC’s ‘Protecting our Prosperity’ series of publications. Paul also drives momentum in the tax reform space through targeted events and engagements across Australia. Miranda Stewart is the Director of the Tax and Transfer Policy Institute at Crawford School, Australian National University in Canberra. Miranda is a Professor of law with more than 20 years’ experience working at the leading edge of policy research, design and development. She joins ANU from the University of Melbourne, where she was a Director of Tax Studies for many years. She has previously worked at New York University School of Law in the United States, in major Australian law firms advising business on tax law, and at the Australian Taxation Office advising on business tax law and policy and has consulted for government on various tax and transfer policy issues. 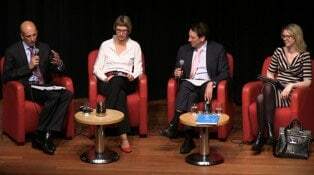 Here is a list of suggested readings from the State Library of Victoria that are relevant to the themes that will be explored in this panel discussion. Australia’s future tax system : the prospects after Henry : essays in honour of John W Freebairn / editors, Chris Evans, Richard Krever, Peter Mellor. GST in Australia: looking forward from the first decade / edited by Christine Peacock.